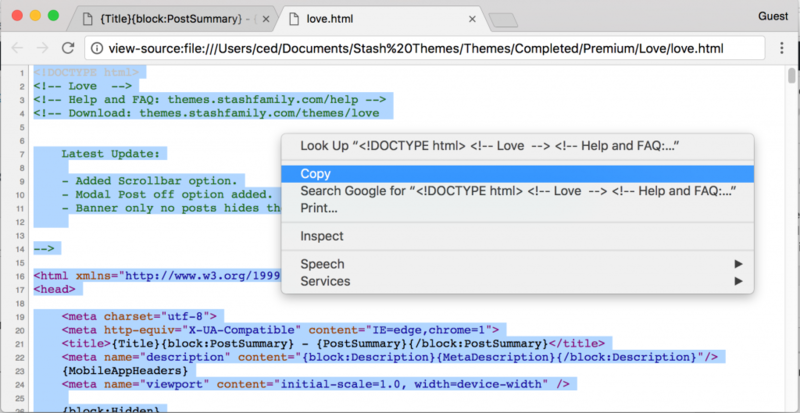 If you have the theme in HTML format here’s how to install it. Firstly, open the HTML file in your web browser. Secondly, right click on the page and click View page source. (Each browser is different). Once you have done this, copy all of the code and paste it into the Tumblr customize screen, click Edit HTML. 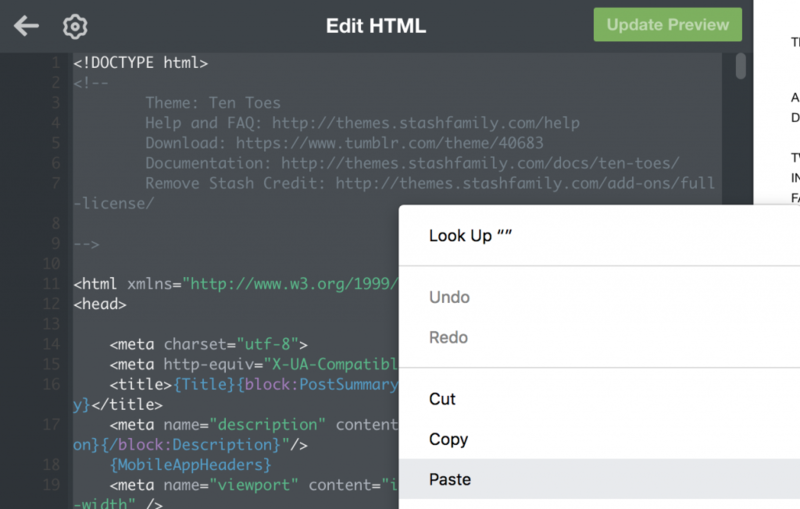 Firstly, open the HTML file in a raw text editor like Notepad, Notepad++, Sublime Text etc. Copy all of the code and paste it into Tumblr. (This will not work with Mac Text Editor). 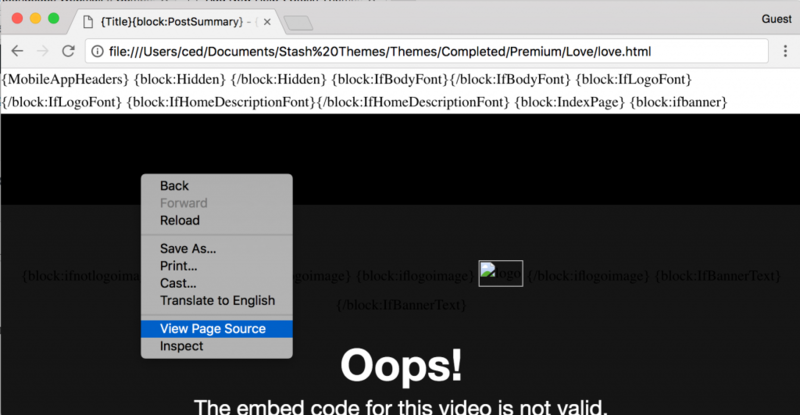 You can also google how to edit raw HTML files for your device.